♥Two strands of the most shimmering flat cable chain - available in sizes from 6.25 - 8.5 inches. Necklaces are available as well, with a daintier chain style (double strand). If you would prefer a single strand chain for your necklace, please leave a note for me at checkout! ♥10mm dainty hearts (3/8 inch) are stamped with the initials/fonts of your choosing - please see the very last photo for font choices! 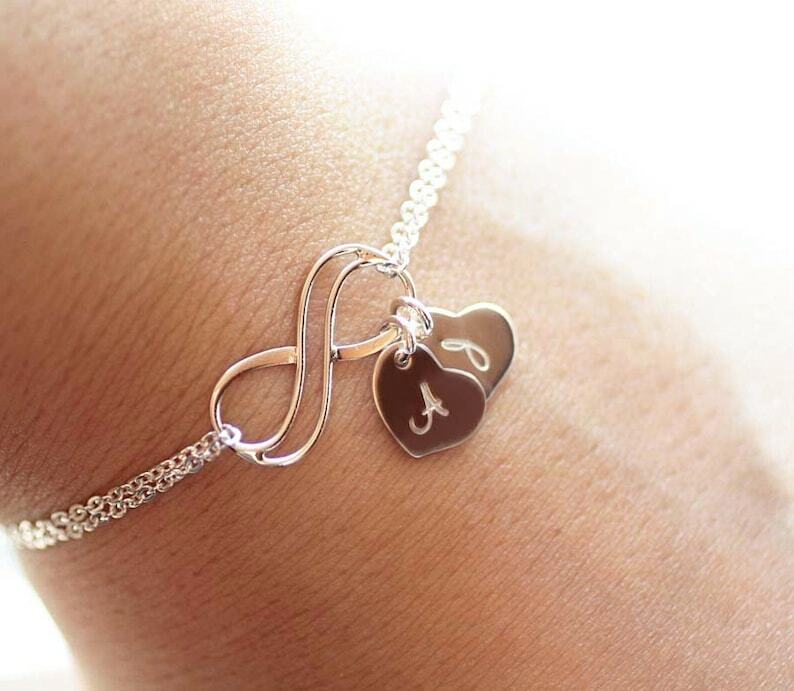 ♥Dainty sterling silver infinity pendant - shiny finish. Measures 20mm - about 3/4 inch. Christmas present for my wife. She loved it. Very unique and pretty. Received many compliments.